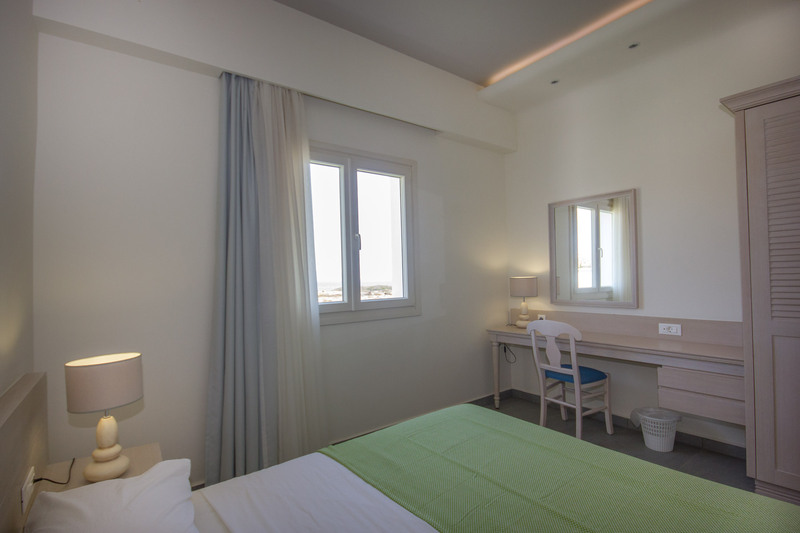 Consisted of modern studios and suites with immense sea view towards Afiartis Beach, Thalassa Beach Suites in Karpathos offers high standard luxury accommodation ideal for families, couples and windsurfers. 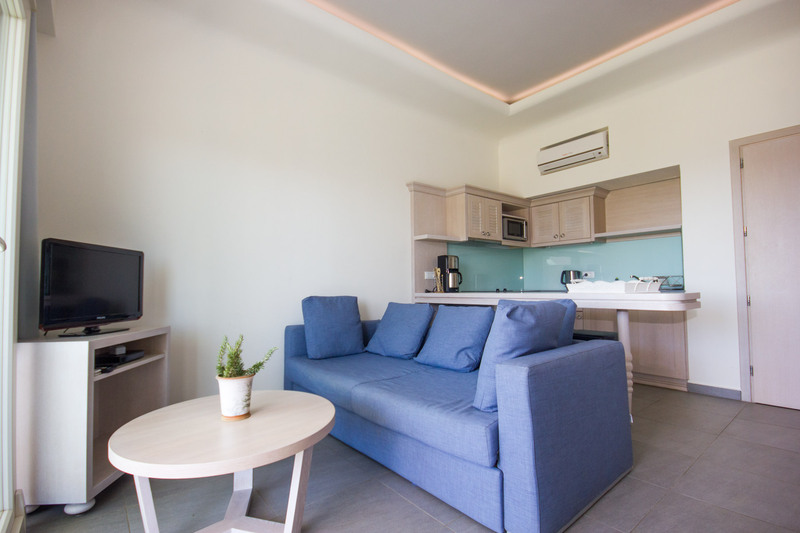 Each of the self catered 1-bedroom apartments and studios are fully equipped with brand new upscale facilities and amenities featuring a private balcony or terrace with table and chairs for guests’ relaxation and a fully equipped kitchen for daily homely cooking. 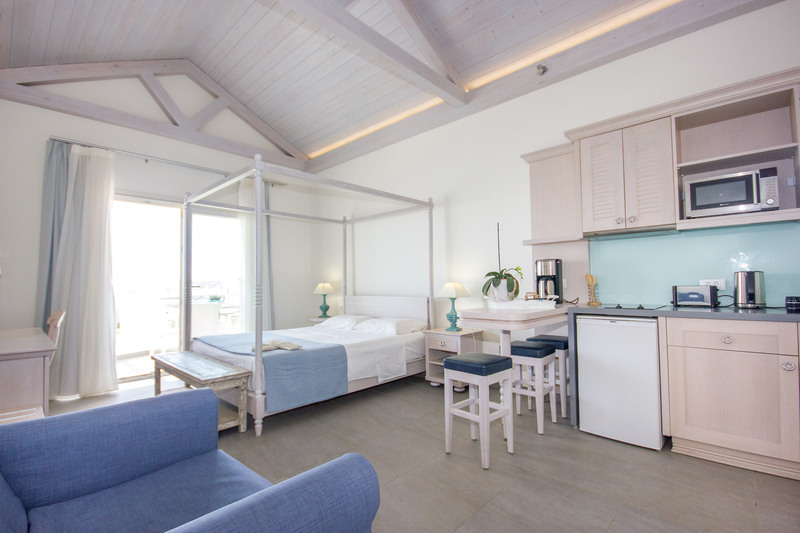 Furthermore, the hotel manager brings every morning fresh bread to all guests. 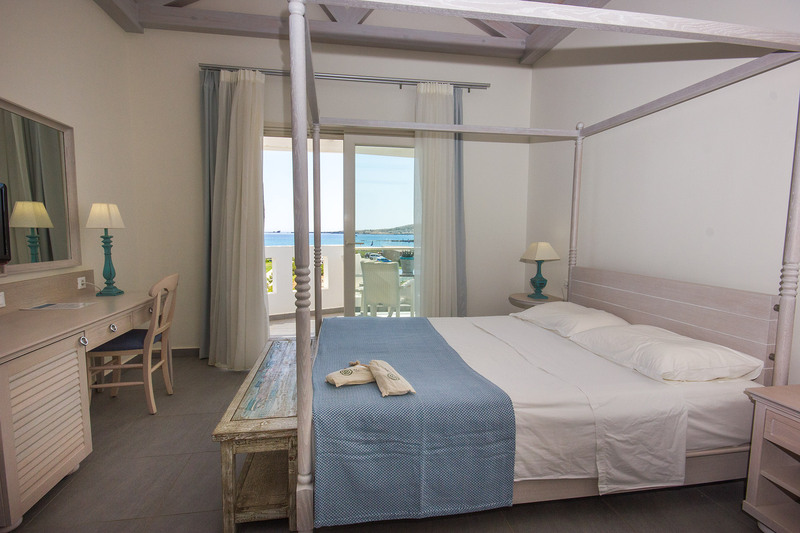 The supreme location of the property almost on the beach and right next to the Ion Windsurfing Club makes it ideal for windsurfing accommodation in Karpathos. 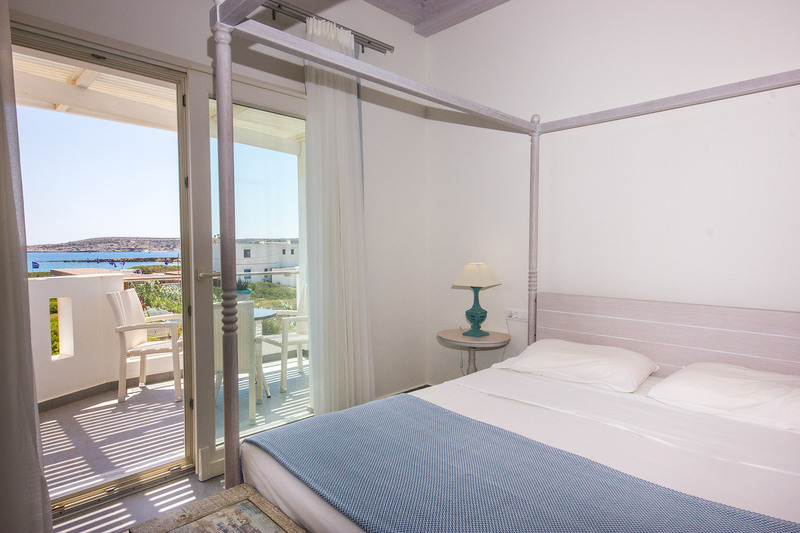 Thalassa Beach Suites luxury accommodation in Karpathos is the ideal setting for carefree holidays by the beach and romantic escapes as well. 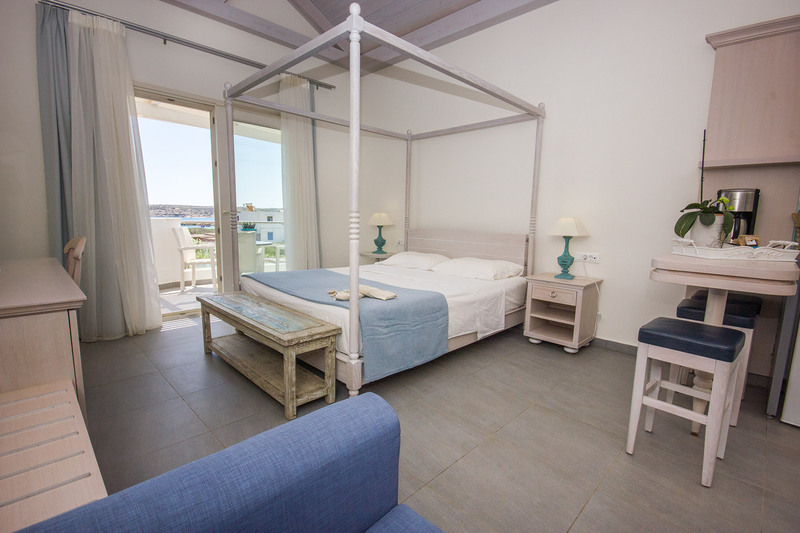 * The sea view studios Thalassa Beach Suites are recommended for couples or group of friends as they can accommodate up to 3 adults in a sofa bed. 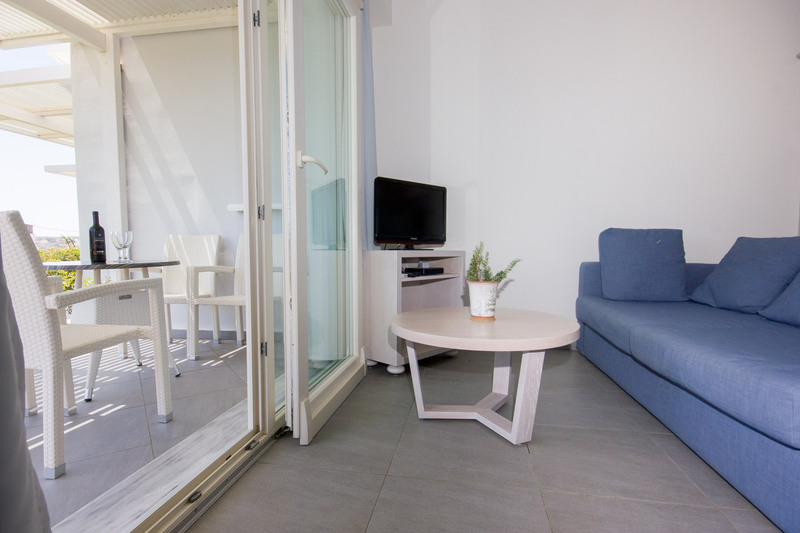 All open space beach studios of Thalassa Suites provide private balcony with table and chairs or private garden with sunbeds and a fully equipped kitchen for guests’ convenience. 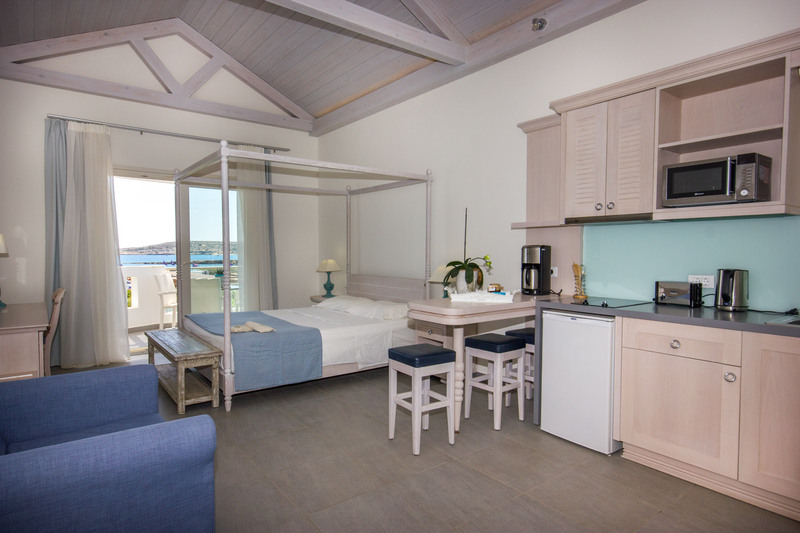 Upscale materials have been used for the décor and the equipment of all studios that pamper guests with king size beds and 100% natural mattresses by the renowned Coco-Mat brand. 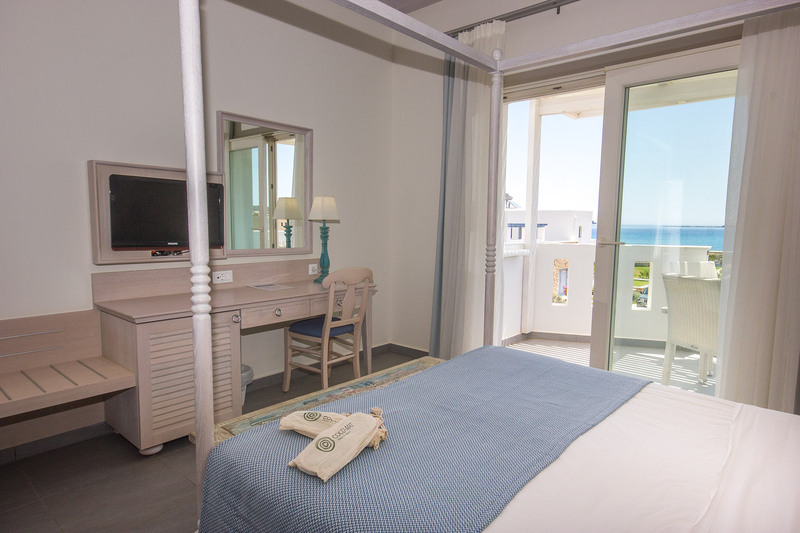 The ground floor studios offer a private garden with sunbeds and partial sea view, whilst the upper floor studios provide private balcony with table and chairs and a panoramic sea view of Afiartis Beach. 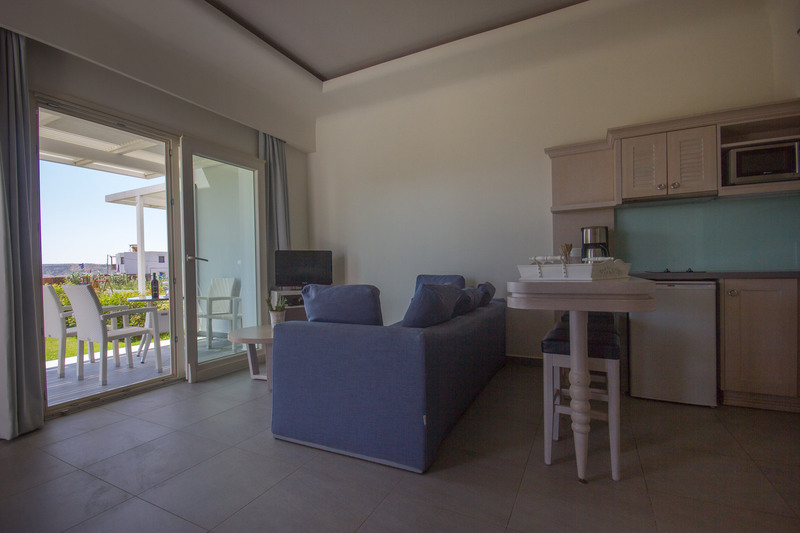 * The sea view apartments of Thalassa Beach Suites are recommended for families as they can accommodate 2 children in the sofa-lounge room and the parents in the bedroom. 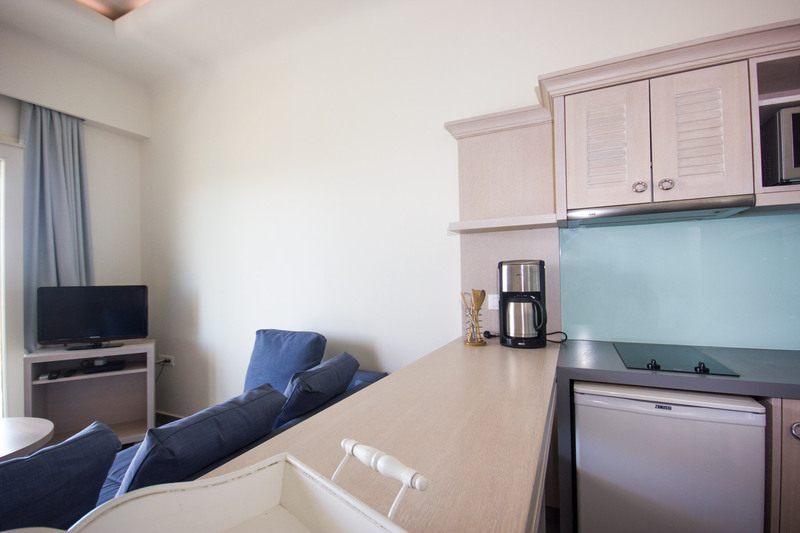 They can also be rented by couples who wish to have more space or groups of friend as it can accommodate up to 3 adults in sofa bed. 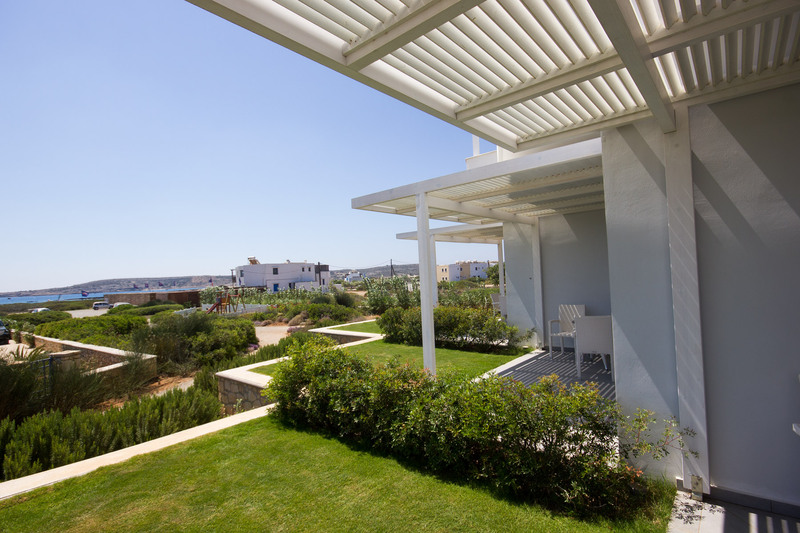 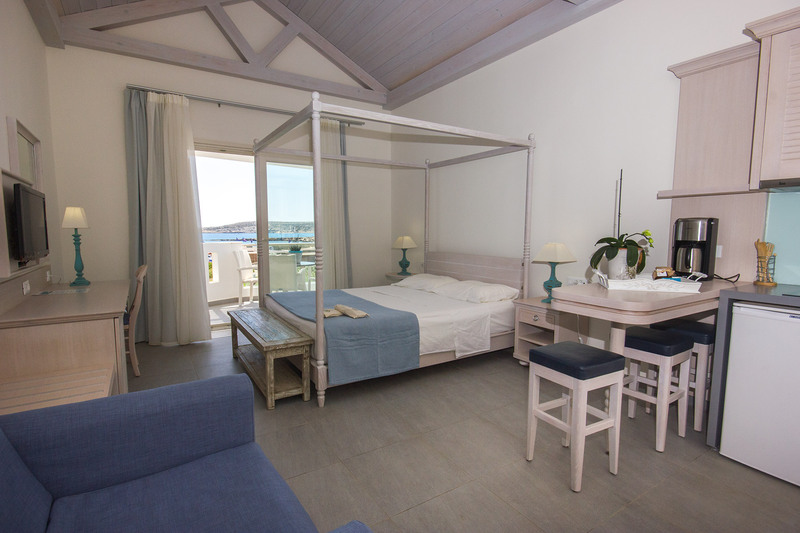 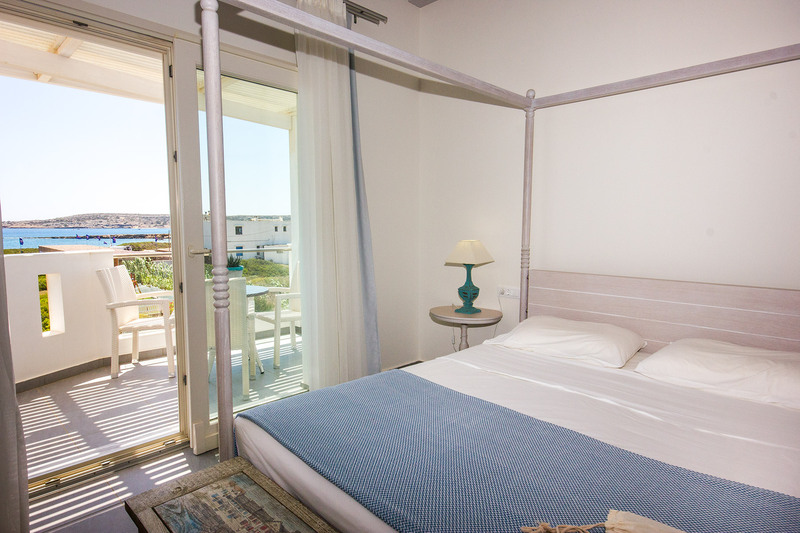 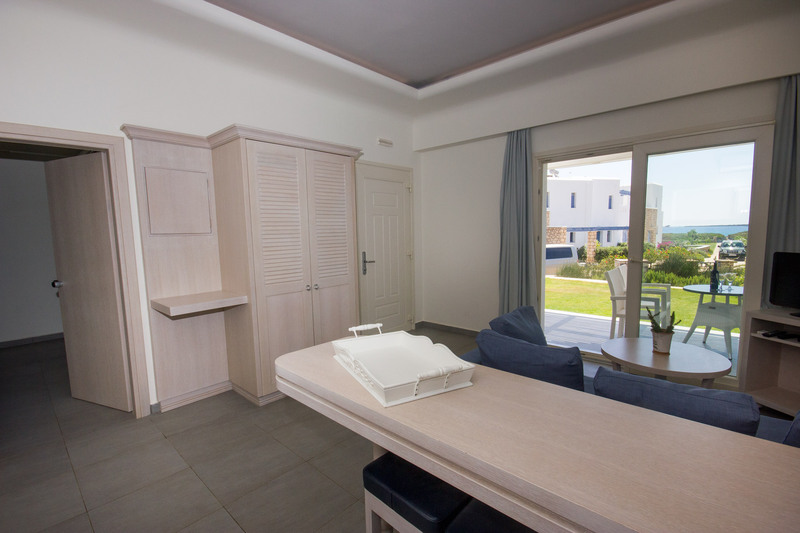 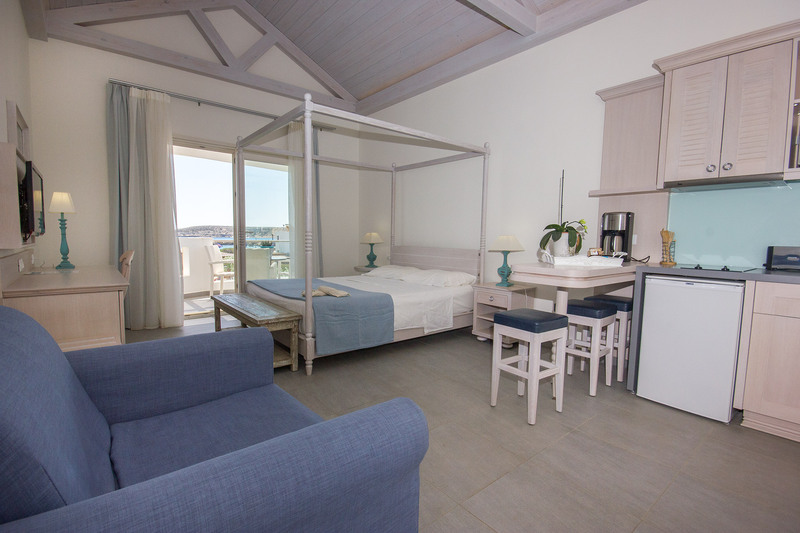 All 1-Bedroom beach apartments Thalassa Suites provide private balcony with table and chairs or private garden with sunbeds and a fully equipped kitchen for guests’ convenience. 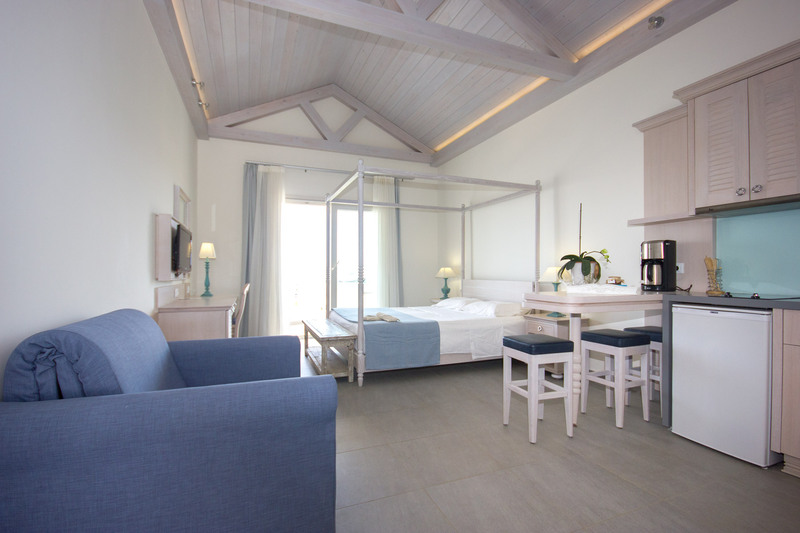 Upscale materials have been used for the décor and the equipment of all apartments that pamper guests with king size beds and 100% natural mattresses by the renowned Coco-Mat brand. 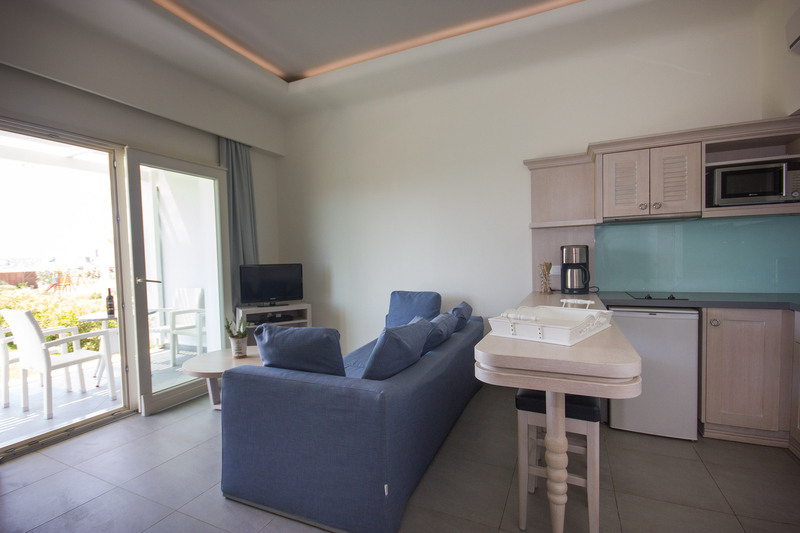 The ground floor apartments offer a private garden with sunbeds and partial sea view, whilst the upper floor apartments provide private balcony with table and chairs and a panoramic sea view of Afiartis Beach.